Ministry Matters, August 3, 2014. Evangelectionary for August 3, 2014, Heather Lear, Evangelism Connections, 2014. "Face to Face/Deepened Relationship," Kathryn Matthews Huey, SAMUEL, , Sermon Seeds, UCC, 2014. Preaching Helps (Pentecost +8). Rev. Dawn Chesser, United Methodist Church General Board of Discipleship, 2014. The Lectionary Lab, the Rev'ds Dr. John Fairless and Delmer Chilton (aka "Two Bubbas and a Bible"), 2014. 2011. Process and Faith Lectionary Commentary, Russell Pregeant, Proper 13, 2014, "...bringing process-relational thought to people of faith." "Gut-Wrenching Gathering," D. Mark Davis, Left Behind and Loving It, 2014. Feeding The 5,000 -- Exegesis, commentary, sermon illustrations, preaching suggestions for Proper 13 based on Matthew 14:13-21 by Jeff Wedge from SermonSuite. Girardian Reflections on the Lectionary, Proper 13, by Paul Nuechterlein & Friends. Jesus Now, Proper (Ordinary) 18A, lectionary, study and worship resources from Faith Futures Jesus Then & Now. Rumors, for August 3, 2008, Ralph Milton, "Sermon helps for preachers with a sense of humor." RCL Leanings, Wrestling with God Edition, RevGalBlogPals commentary and discussion, 2014. "Banquet in the Wilderness," Suzanne Guthrie, At the Edge of the Enclosure, 2014. "The Surprise of Grace: Reflections on Genesis 32:22-31," John C. Holbert, Opening the Old Testament, 2014. "Divine Hospitaility and Abundance," Sharron R. Blezard, Stewardship of Life, 2014. "Of Bread and Fish," Thomas Beam, 2014. 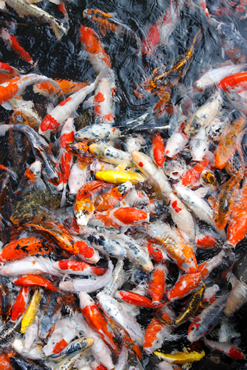 "Could Loaves and Fishes Change the Immigration Dilemma?" Verity Jones, ON Scripture, Odyssey Networks, 2014. Video: "On the Street: The "The Politics of God's Plenty," Alastair Roberts, Political Theology Today, 2014. "A Hidden Abundance," Bob Cornwall, Ponderings on a Faith Journey, 2014. "Wrestling," Lynn Miller, Art & Faith Matters, celebrating our creative and living God by generating art and architecture resources for congregations and individuals. Art and Faith Matters facebook page contains additional resources. "The Nation of Israel as the People of God," Dan Clendenin, Journey with Jesus, 2014. "Who Owns the Back Yard?" Steve Goodier, Life Support System, 2014. "The Power of a Good Name," David Lose, Dear Working Preacher, 2011. "The More You Get, the More You Have," Debra Dean Murphy, The Ekklesia Project bLOGOS, 2011. The Painted Prayerbook, "Enough!" Jan Richardson, 2011. Use of images. "Living Sabbath," Melissa Bane Sevier, Contemplative Viewfinder, 2011. "God Blessed Jacob,," The Journey with Jesus: Notes to Myself, Daniel B. Clendenin, Journey with Jesus Foundation, 2011. 2008. 2005. "You Feed Them," John van de Laar, Sacredise, 2011. "Limping," Miriam's Tambourine, reflection, artwork, worship resources from Memphis Theological Seminary. "Not Until You Bless Me," Linda Fabian Pepe, Theological Stew, 2011. "Banquet in the Wilderness," Suzanne Guthrie, Soulwork toward Sunday: At the Edge of the Enclosure, prayers and meditations, 2011. Divine Blessings - A Lectionary Meditation, Bob Cornwall, Ponderings on a Faith Journey, 2011. Liberal Lectionary Resources, Proper 13A, Brian Jackson, 2011. "Plenty," Sharron R. Blezard, Stewardship of Life, ELCA, 2011. Grounded and Rooted in Love, Matt and Laura Novell, 2011. Sermon Notes for July 31, Michael Rich, In-Formatio, 2011. Dylan's Lectionary Blog, Proper 13. Biblical Scholar Sarah Dylan Breuer looks at readings for the coming Sunday in the lectionary of the Episcopal Church, 2005. "Big Story," Amy B. Hunter, 2005. "Our Jewish Problem," Cynthia A. Jarvis, 2002. "A Fighting Posture?" Enuma Okoro, "God's Care Package Is Bursting," 2011. "The power of interruptions," the Rev. Machrina L. Blasdell, Sermons that Work, Episcopal Digital Network, 2014. Propio 13 (A) – 2014 POR EL RVDO. Enrique Cadena, Sermones que Iluminan, Episcopal Digital Network, 2014. "The Gospel as Comedy," Frederick Buechner Sermon Illustrations. "The Power of Interruptions," 8 Pentecost, the Machirina L. Blasdell, Sermons that Work, Episcopal Digital Network, 2014. "Life's Turning Points," the Rev. Dr. Jimmy Allen, Day 1, 2008. The Lectionary Lab, the Rev'ds Dr. John Fairless and Delmer Chilton (aka "Two Bubbas and a Bible"), 2014. "Deepened Relationship," Weekly Seeds, UCC, 2014. Bible Study, Proper 13A, 2014, James Miller, Sermons that Work, Episcopal Digital Network. Estudio de la Biblia. Propio 13 (A), por James Miller, Sermones que Iluminan, Episcopal Digital Network, 2014. Worship Planning Helps (Pentecost +8): Worship & Preaching Notes, Hymn Suggestions and Worship Resources from the United Methodist Church General Board of Discipleship. Worship resources for Proper 13 by Frank Ramirez from SermonSuite. Worship Resources, August 3, 2014, Rev Mindi, Rev-o-lution. 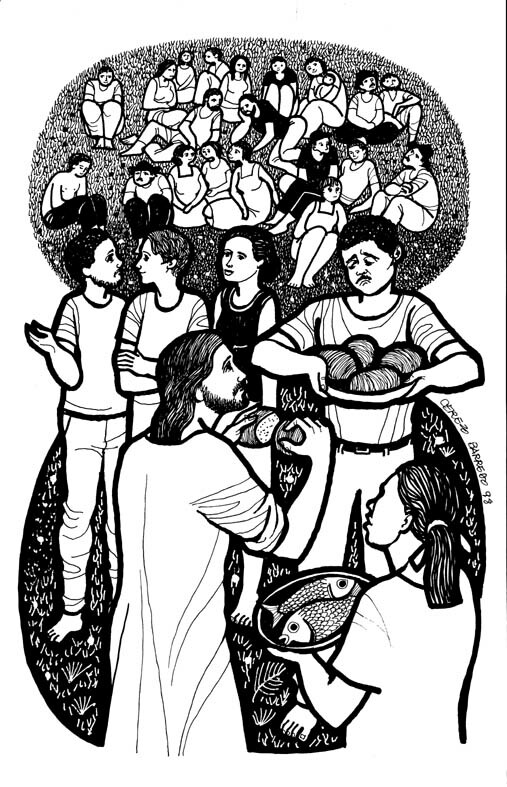 Lectionary Liturgies, Ordinary 18, Thom M. Shuman, Presbyterian Church (U.S.A.), 2014. Mustard Seeds, "More Than Enough," Proper 13, 2014. A lectionary-based ideas resource for leaders of contemporary worship, Ann Scull, Gippsland, Australia. Liturgy for the Celebration of Life, Pentecost 7A. Liturgies from a Progressive/Post-Liberal Theology, Revd Rex A.E. Hunt, The Uniting Church of St James Curtin, ACT, 2011. Worship and Liturgy Resources, Ordinary 18, by Rev David Beswick, Uniting Church in Australia. Sermons and Liturgies for Year A, Richard J. Fairchild, United Church of Canada..
Lector's Notes, OT 18, Gregory Warnusz, Saint Jerome Parish, Bellefontaine Neighbors, MO. Notes and commentary for those reading this week's lectionary texts to the congregation. "Liturgy: prayer reflection", (NZBP) reflections on the collect at the Eucharist, Rev. Bosco Peters, New Zealand. Common Worship C of E.
21st Century Worship Resources, Pentecost +8, UMCDiscipleship.org. Offertory Prayers, Pentecost +8, UMCDiscipleship.org. The Timeless Psalms: Psalm 17:1-7, 15, (Pentecost 7A), Joan Stott, prayers and meditations based on lectionary Psalms, 2011. Prayers of the People, Proper 13A, Fr. Jeremiah Williamson, Praying the Scriptures, 2011. The Timeless Psalms: Psalm 17:1-7, 15, Joan Stott, prayers and meditations based on lectionary Psalms, 2014. Weekly Worship Prayers, Reclaim, 2014. Worship Ways, prayers and litanies, UCC, 2014. HermanoLeón Clipart, Ordinary 18, Free clipart, backgrounds, slides, etc. Ordinary 18 at Cerezo Barredo's weekly gospel illustration. Follows Latin American Roman Catholic gospel reading, though most gospels texts/themes are found in the index. Liberation emphasis. "Picnic Plates," video, John Stevens, Dollar Store Children's Sermons, 2014. "Hunger in Their Souls," Brenton Prigge, NewHymn. Hymns of the Spirit Three, Proper 13A, Richard E. Hurst, Universalist National Memorial Church. Psalm Settings by Dale A. Schoening, Metrical Psalms: Psalm 17:1-7, 15 set to Eventide (10 10 10 10) ,Psalm 145:8-9, 14-21 set to Winchester (CM 86 86) . Hymn and Song Suggestions, Proper 13A, 2014, annotated suggestions from Natalie Sims, Singing from the Lectionary. Lectionary Hymns, Pentecost +8, UMCDiscipleship.org. Shepherd Sounds, Pentecost +7, Background information for hymns and choral music following the lectionary from the Episcopal Church of the Good Shepherd, Austin, Texas, by Eric Mellenbruch and David Zersen. Together to Celebrate, August 3, 2014, David MacGregor, Uniting Church in Australia. Contemporary Christian Music resources. Lectionary Puzzles, Proper 13. Word search puzzles in RTF or plain text, by Reg McMillan, St.Stephen's Presbyterian Church, Peterborough, Ontario. The Great Picnic -- Children's sermon by Wesley T. Runk based on Matthew 14:13-21 from SermonSuite.